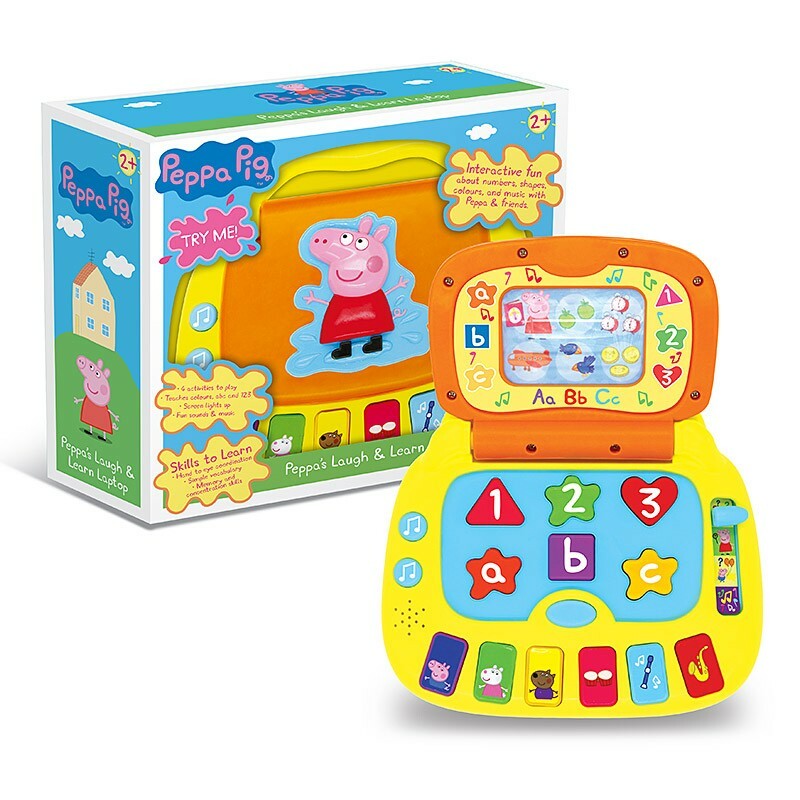 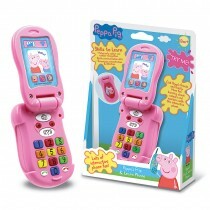 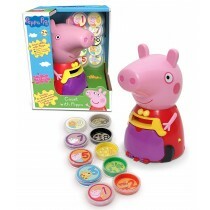 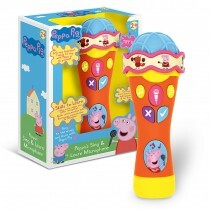 Learn, shapes, numbers, letters and colours on the go with Peppa! 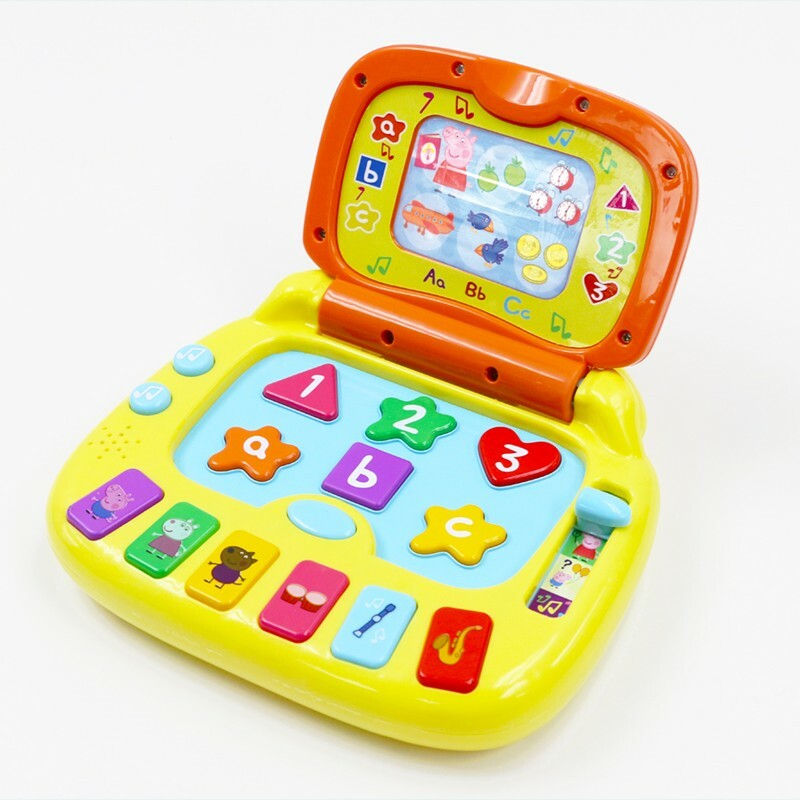 The Laugh & Learn Laptop is great for learning on the go. 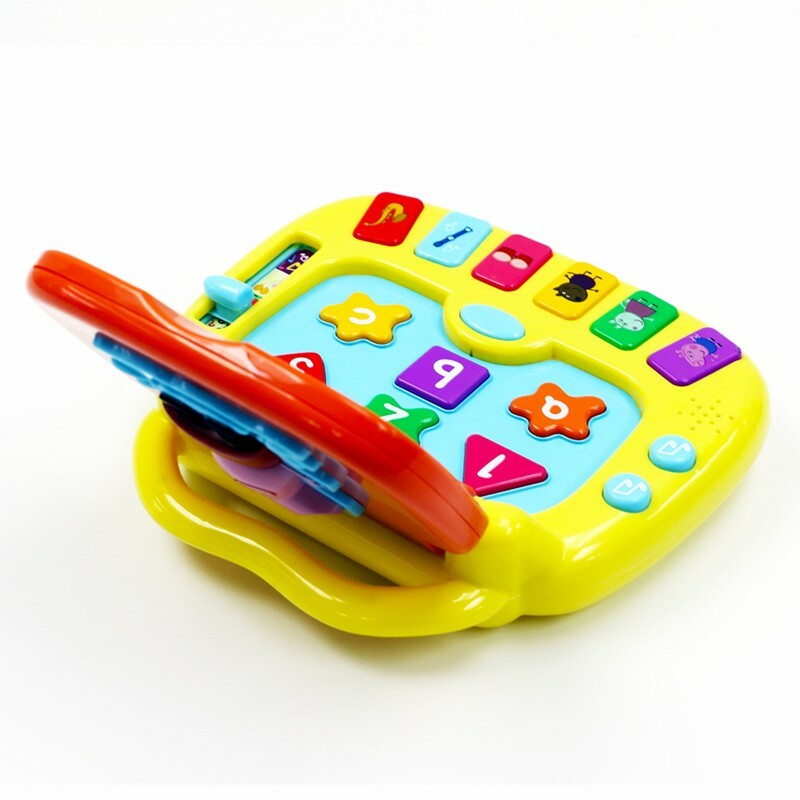 With a portable carry handle and lift-up screen, it features 4 fantastic games to help little ones learn colours, numbers and letters. 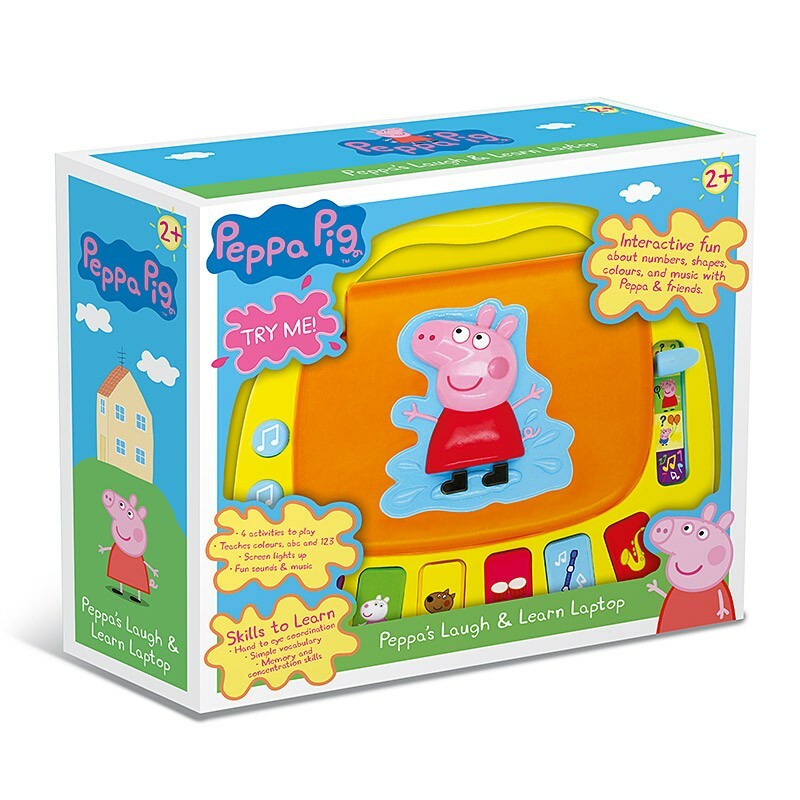 Featuring familiar characters from the hit show, the chunky screen and buttons are easy to use for little hands, and kids minds will be stimulated by the bold shapes and bright pictures on display. 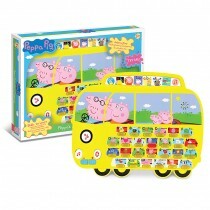 Helps with early number and colour recognition. 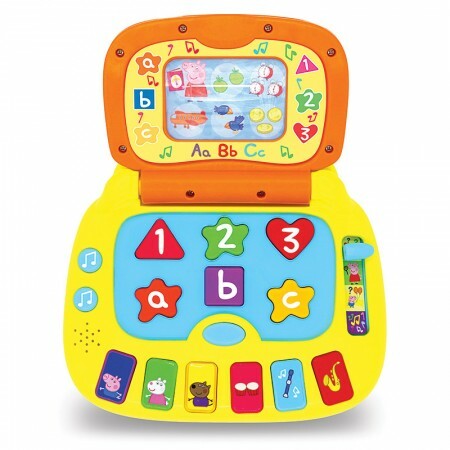 Builds communication and vocabulary skills.